It’s kicking off in Iran. Millions have taken to the streets in anti-government protests. Twenty people are reported dead, more than 500 arrested. But the dynamic is not declining. 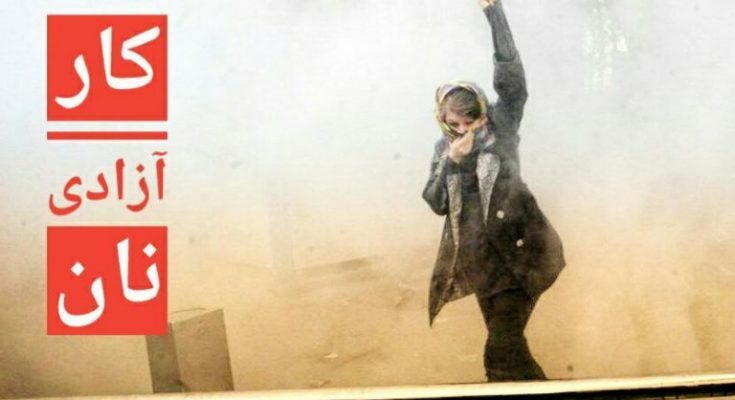 Unlike 2009, this period of protest has much more potential, because Iran’s no future-generation – like here in Europe – has nothing to lose and is willing to risk everything. There is a saying in Iran: Every thirty-ish years, there is a regime change. In 1979, a people’s revolution chased away the Shah, this was before the Islamists around the first supreme leader Khomeini took over the state violently and transformed it into the Islamic Republic of Iran (IRI). Exactly 30 years later, in 2009, the country saw its last big uprising, orchestrated by and around the “reformist” current of Iranian real-politic – a movement which gave not only reformists, but all who wanted change a plausible reason for hope for improvement. But in the end, neither the controversial former conservative president Ahmadinedjad and the current supreme leader Ali Khamenei nor the principles of the Islamic Republic were touched. The movement was cracked down on. Is the cycle of regime change broken? Recent events in Iran give us hope that it’s only delayed. 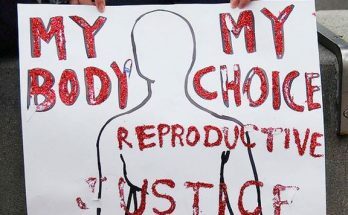 This movement – certainly in its beginning yet – has far more potential than in 2009 because in some crucial points it differs vastly from the 2009 movement. It is making the Islamic Republic’s elite shake and gives all of us who want to see the Islamic Republic gone and the people in Iran living in dignity and freedom a reason to hope. 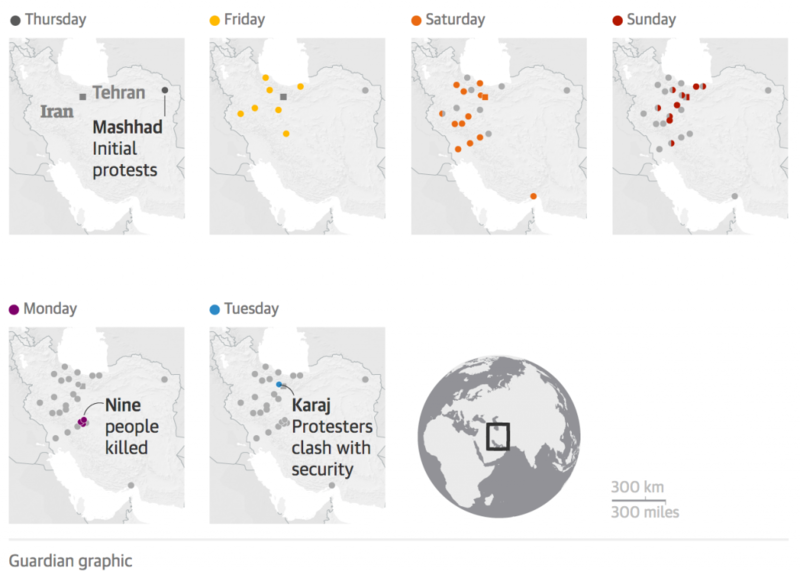 First of all, very briefly: what is happening in Iran right now? We are witnessing the transformation of social revolt into a more and more radical social movement all over the country. This is the biggest protest-wave the country has seen in eight years. The aim of it can be summed up as “Bread, Work, Dignity, Freedom” – and large numbers of the millions in the street are demanding nothing less than the end of the Islamic Republic. The reasons why it’s kicking off are complex and have been growing for years, if not decades. In the news, it is said the spark was escalating egg prices and unemployment. Indeed, inflation in Iran is disastrous and combined with harsh austerity politics it outreaches the level of wages and incomes by far. In many cases these conditions push not only the unemployed, but even the masses of precarious employed Iranian to the edge of surviving. 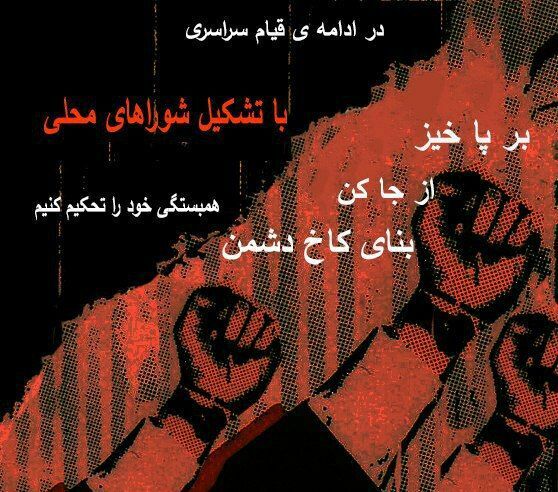 This is why Iran is at an unrest for a long time: the state funded organisation Isargara counts 1700 protest actions of social character only between March 2016 and today – be it wildcat strikes by factory workers or actions by pensioners and public sector employees – despite harsh prosecution against (radical) unionism and any kind of similar organisation. The end of the previous, hurtful UN-sanctions did not bring back economical recovery except for some corrupt Mullahs and their economic-military complex, the Revolutionary Guards. But, the state’s economic struggle isn’t the only problem for people living in Iran. 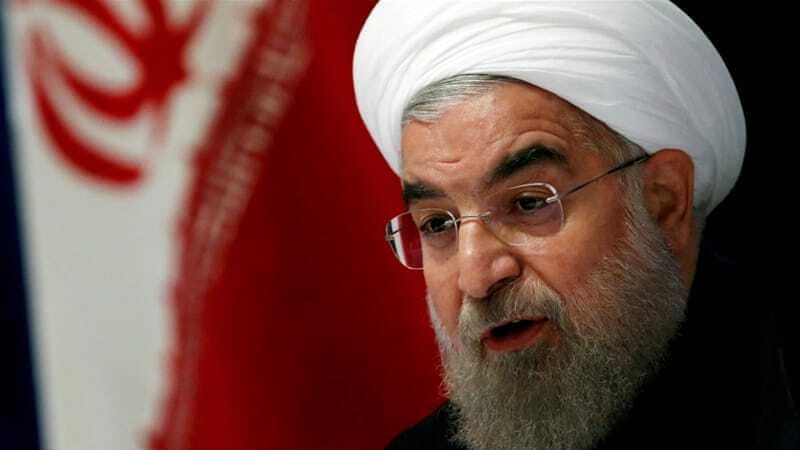 The increasing authoritarianism under Ahmadinedjad was not really stopped by the current president Rouhani, who is considered a reformist, and at least a moderate type of guy. The religiously motivated, authoritarian pressure on daily life, especially the harassment against women and alternative young people, the executions in the name of Allah etc. have not declined at all. The pollution especially in big cities is so bad that some blocks at some h ours are only to sustain with masks. Last but not least many Iranians are furious that the expansionist IRI sponsors ideologically related struggles in the region, like in Palestine or in Lebanon with billions of dollars, but does not give a dime about the suffering people back home. But what is different now compared to 2009 – the year of the last uprising, which did not succeed? The character of the protest and what it’s all about. 2009 was a genuinely political protest in the sense that it was concerned with “real-politic” in Iran. It was orchestrated around and within the “reformist” current, with the former candidates for presidency Mousavi – the same man by the way, who was premier minister under Khomeini during the mass executions against about 40.000 political opponents at the end of the 80s. But we will come back to the desperation of Iranian reformism later. However, the founding moment was the election within an autocratic and totalitarian regime, which implies, that the reformist wanted to take power within the Islamic Republic and – if possible – do things better slightly. More democracy, more individual freedom, less harassment, slight opening towards the West – all perfectly capable within the Islamic Republic, who have tolerated these changes already in 1997 during the last reformist candidate Khatami. Now, the whole situation is turned around. The reformists are in power in the form of Rouhani, but the problems are the same, if not even worse. This is why the demands are more existential and the struggle, the conflict, is far more fundamental. It is not about choosing between different currents within the ruling class, but rather against the ruling class itself. In fact the first rally of this protest cycle on 28th December 2017 in the city of Mashad was organised by conservative hardliner and Rouhani-rival Raisi, but quickly got out his hand. The people are fed up of being used as negotiation masses between the reformist and the conservative currents of the real-politic – none of which are able to solve fundamental, existential problems. 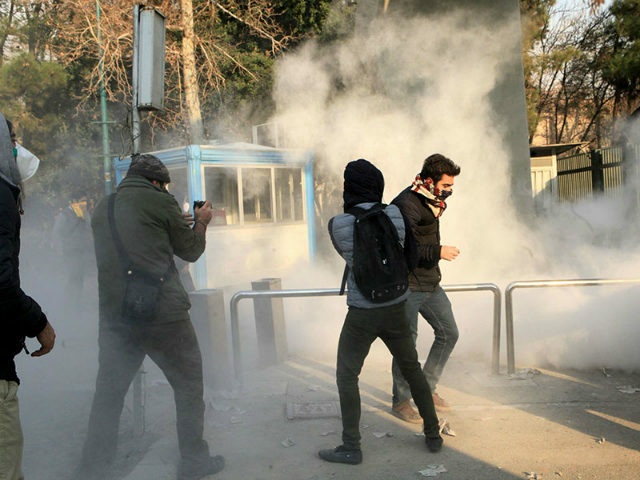 This was expressed during one of the first demonstrations in the current protest cycle at Teheran University, when people shouted “Reformists or Conservatives – the game is over”. The subject of the struggle. The 2009 uprising was led by the urban, educated middle class, which was not suffering existentially in a material sense, but ideologically. They were – and they had every right to be – fed up with the aggressive, authoritarian development under Ahmadinedjad, whose administration massively increased the attack on genuinely democratic and individual rights like freedom of the press, assembly, opinion and so on. He manoeuvred Iran into a more and more leading role in opposing the West (who, despite the sanctions did not get tired of doing massive business with the IRI, though) and mobilising the country and regional allies as the West’s counterpart – as kind of an “anti-imperialist block of the 21stcentury”. While Ahmadinedjad was able to unify the lower classes by appealing to the national identity, the middle class wanted to take part in the globalisation of the western world – but not revolutionize Iran. They put their hopes into the reformist candidate of presidency to achieve that and chose the parliamentary way – which is a structural problem in a totalitarian state, where the supreme leader has to approve all the candidates. Now, it is totally another social group revolting in the street: It is mostly the (young) lower classes, the (precarious) labourers, the non-represented, but also students (which are part of every big uprising in Iran) – and, very importantly, one of the strongest movement in Iran for decades, progressive women in the front. Most of this huge part of Iran’s population has literally no future. They have no perspective whatsoever. They want a life in dignity, they want something to eat, they want work in order to afford basic needs and they are frustrated about religious justifications of the misery. They have – unlike the 2009 urban class – nothing to lose and the mentality to risk everything. A yo ung man from the south said during the riots: “I live with my parents and we can hardly afford meals for all of us. I cannot find work. What will they do? I do not fear them. I have nothing to lose”. It is astonishing, how this sentence in its exact wording could come from the (South-)European youth, who live in another world but suffer the same problem of being un-represented, dispensable in the eyes of the ruling class – and becoming ungovernable. The determination and the symbolism of the protest. Consider this: Iran’s repressive apparatus is one of the most advanced and most ruthless in the region, if not in the world. There is not only police, but the better organised, more important and more brutal Revolutionary Guard and their unofficial, paramilitary arm the “Bassidj” militia, founded by Khomeini himself. This is why it takes a huge amount of courage to go out and demonstrate even peacefully at all. There is practically no right to do so, especially if it turns against the government. In this context, it is even more impressive what the people shout during these illegal assemblies. There are basically no religious slogans being heard. Unlike 2009 where one of the most central slogans was “Allahu Akbar” (God is great) in order to symbolize a loyalty to the principles of the Islamic Republic. You cannot find this slogan here. On the contrary, the people shout in masses and in all cities “Down with Rouhani”, “Down with the Dictator”, “Mullahs go home” even “Down with Khamenei” and finally “Down with the Islamic Republic” – these slogans can be prosecuted as “mohareb” (sin against God) and punished with the death penalty. According to the revolution in 1979 as well as Western republican revolutions they also demand “Independence, Freedom – an Iranian Republic” and reject the IRI by that as well. The people seem to keep radicalizing every day. They do not let themselves be chased away by police, in many cases they overwhelm the riot units and set their cars and police stations on fire. In the videos, you can see that during militant ac tions, the people care for each other and stop others if they about to harm innocent people. There is a big sensitivity in the riots. The targets of direct actions are also very clear: people turn against police buildings and cars, banks, local administration buildings and especially against property of the hated Revolutionary Guard. Furthermore, they tear down huge posters of the Supreme Leader and burn the flag of the Islamic Republic. One of the most important signals for secular and progressive protest is the presence and the active involvement of women, many protesting without the Hijab. 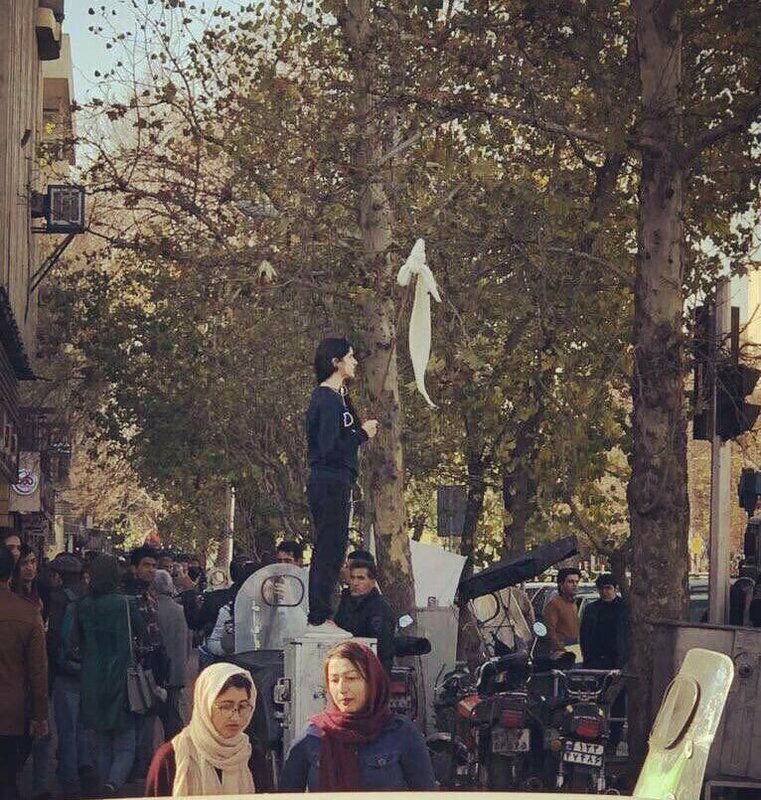 A young, protesting woman turning her Hijab to a flag became the symbol of this movement. The geography of the protest. Unlike 2009, the actors of the current uprising are not limited on the relatively small urban middle class in three or four cities, but distributed all over the country. Iranian society is very heterogeneous– 60% is made up by the Persian majority, which in many cases aggressively claim the hegemony of the nationality “Iranian”, and there are several smaller and larger ethnic, cultural, religious minorities, like Azeris, Kurds, Lurs, Baha’i and so on. 2009 had a very crucial problem – it basically did not reach any of those minorities, because it never convinced those minorities why they would have a better fate with a reformist president. No wonder, since this topic was not a considerable part of their programme. This year the social protest does not prefer any of those identities, but is very existential and includes all. While 2009 was massively orchestrated around Tehran and Isfahan, this year’s cycle started in the North-West (close to Iranian Kurdistan) and then was swept to Teheran and around 70(!) more cities in every parts of the country, including the minorities’ regions like Khuzestan, Kermanshah and Kurdistan. This is a nationwide movement of millions and it includes a very large part of society, 2009 did not. The organisation of the movement. Naturally, the 2009 movement was a classical political movement with a narrow window of demands and – most importantly – with leaders. Mousavi and his wife Zahra Rahnaward and the co-candidate of the reformists, Karroubi, did not only consider themselves as leaders, but they were called as leaders by the movement. They and their team were responsible for the programme and choreography of the movement – and they also decided what was important enough to ask for, i.e. they warned of too much radicalization – naturally. But in a totalitarian state, this top-down-organisation is not a mistake for ideological but for pragmatic reasons. When the state was ready, they imprisoned these leaders and the dynamic was harmed heavily. Easy game. The protests did not stop but in many ways the movement became headless. This year’s protest movement is much more decentralised and self-organised. People in the different cities coordinate with Internet tools and by taking recordings they see what is going everywhere, so they can refer to each other. They usually come together after work or school, when it gets dark, start chatting about politics and life, then they shout slogans and eventually take direct action – and disperse. Come and go, Hit and Run. Sure, there are attacks from security forces, arrests, people die. But nonetheless the protesters keep coming and coming, with a certain calmness. This has a spontaneity which a genuinely political movement like 2009 usually does neither know nor tolerate. There is nothing to behead for the authorities (yet? ), this makes it so painful to stop. Reactions within the state apparatus and perspectives. The state apparatus is kept hesitating a long time, now it is slowly getting into position. After the protests got so big that they could not ignore them anymore, they started their usual blaming game: terrorists, agent provocateurs, foreigners and other enemies are responsible for the revolt. It is said, though, some police officers and soldiers have resigned already and deny duty. There are efforts to high jack the protest from conservative forces, for example, yelling “Allahu Akbar” through the microphones, but those efforts were shut down everywhere in Iran. Recent “demonstrations of power” where loyalists of the regime should come out in “masses” were beyond expectation. But the state has not mobilised all of its repressive apparatus yet. The revolutionary guard and the Bassidj militia are keeping clear for now. They want to see how it turns out. The reformists, given their misery and their pointless hope of transforming a totalitarian regime effectively by just installing a different president, will probably turn out as the accomplice of the conservatives in the end and form a “unity of reason” government, i.e. a unity of those who want to uphold the Islamic Republic and confront the movement. However, here is one crucial difference to 2009: a lot must happen that the people become scared and stay home. They are hungry, unemployed or employed but feel miserable just like the unemployed, fed up with the Islamic regime and have no future. Even if the death toll is relatively much higher than 2009 (2009: 60-70 killed after 6 months, now more than 20 after 7 days), they keep staying on the street. This is what makes them dangerous, unpredictable and this is why it is probably not possible for political reasons to crack down the movement militarily. The state has men and material for sure, but they too surely fear a further escalation, that will expose further the regime to the outer world. The misery of Iranian Reformism. Not only are the reformists not really part of this movement – many parts consider it as hostile. First, because the man in power is considered in their political current: When he got elected, reformists – imagine how desperate they are – celebrated that as a victory. But Rouhani’s era was more than disastrous and one more signal that reformism within the Islamic Republic is not an option. Facing the protests now, I would even go further and say that the reformist promises and its real outcomes are a big part of why people got angry and take to the streets now. Despite his election campaign, Rouhani’s cabinet was heavily conservative – neither women nor representatives of a minority were part of it. This cabinet was a love letter to the supreme leader. During his campaign he heavily agitated against the Revolutionary guards, now he seems not to get enough of cuddling up to them and he refers to a “brotherhood” with them. Furthermore it was leaked that billions of the government’s budget was invested in religious projects outside and inside the country – but none of those really helped people in social need in Iran. But at least he lowered the numbers of executions? No, he did not. No wonder that two months ago a campaign under the name “I regret it” went viral, where people and celebrities (like former football star Ali Karimi) expressed their disappointment in the reformist current. Reformism, its false promises and their historically consistent, fatal cooperation with conservatives and hardliners and selling that as “the lesser evil” are a reason for the misery in Iran and why it is kicking off everywhere now. They deserve nothing less. Organise solidarity. We know from many sources within Iran that it is vital for them that their struggle receives global attention. 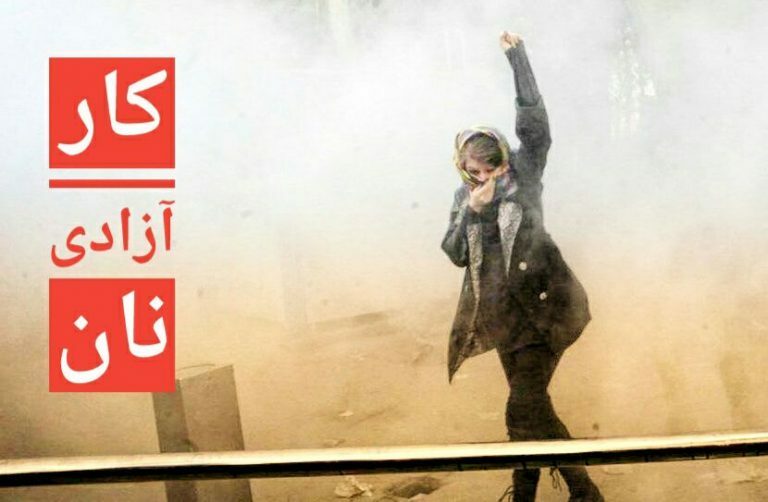 Not only do they feel empowered for the rightfulness of their struggle, but it has a political-strategic value: a tweet by USA’s Ahmadinedjad, Donald Trump, warning the Islamic Republic to maintain standards of human rights (what an irony), makes the Islamic Republic think twice about shooting down protesters. On the other hand, the Islamic regime is highly professionalised in transforming comments like these into their fake news, where they make foreigners responsible for the protest – an important ideological twist. 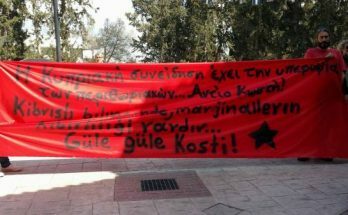 Nonetheless we should not be silenced by that, never and from no regime to practice solidarity to a struggle we support. If there are solidarity actions in the whole of Europe or the whole world, it can and will make the Islamic Republic shake at least a little bit more – even if they claim the opposite. Furthermore in a globalised world like ours, the struggle in Iran has to do with us. Have a look how, despite the sanctions, European capital makes large profits through trade with the Islamic Republic. According to the campaign “Antifa Teheran” from 2009/2010 you will be surprised how many companies in Europe not only have innocent trade and commerce links, but, for example many German and British companies, also deliver intelligence and material for the Islamic Republic security regime, for example riot gear and less than lethal crowd dispersal weaponry. In what way so ever: there are many ways to show solidarity. Make use of it and do not hesitate to clarify, what you are in solidarity with, i.e. social justice, secularism, freedom and peace – and with what not. The community of exiled Iranians is highly political and includes all sorts of political currents, partly extremely well organised: Several leftist currents, Mudjaheddin , nationalists, neoliberals, monarchists. Let’s not forget: Iran’s regional and geopolitical importance is obvious by now. And the people of Iran – like everywhere – deserve a much better fate than the super-authoritarian, clerical IRI. But the 2009 movement in Iran was the start of the global protest wave, which swept over Arab countries, the USA and the movement of squares in Europe – even if not everywhere the rebellion succeeded or if there was no direct action connection with Iran. Now, after the terrible global rise of the right wing and authoritarian formations, it must be our time again. And Iran can be the beginning – again.